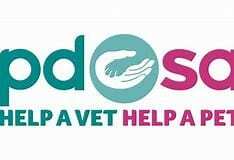 PDSA are seeking a Scientific Officer to join their Veterinary and Policy Campaigns team based at their Head Office in Telford. This full time temporary role is responsible for supporting the Evidence and Policy Manager in the delivery and management of PDSA approved data and policy, impact measurements and research studies. The candidate will need a degree in animal welfare, veterinary or a related subject and experience of undertaking thorough literature reviews and possess an aptitude for working with figures and large data sets. Attention to detail and a logical, organised work ethic along with the ability to work collaboratively across disparate teams will be key within this role. Are you an outstanding early post-doctoral scientist aspiring to develop into an independent research investigator? Apply for our exciting 2-3 year Faculty Fellowships at the University of Newcastle for early career scientists. We provide salary and consumables funding together with mentoring and career support to help you develop external fellowship applications. Are farm animals smart? And if yes, why should we care? In recent decades, research on the cognitive capacities of non-human animals has gained increasing attention. However, compared to the amount of research that has been conducted on some model species, studies on the cognitive capacities of farm animals are heavily underrepresented. Given the number of livestock animals worldwide, this lack of research is surprising because knowledge of the mental capacities of farm animals is highly relevant as it can affect their welfare. 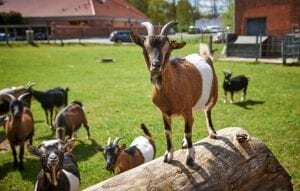 We need to understand how farm animals perceive their physical and social environment to appropriately assess their ability to cope with husbandry systems and to provide them with opportunities to fulfil their cognitive needs (e.g. via enrichment). This review by AWRN-member Christian Nawroth and colleagues aims to outline the current state of farm animal cognition research, considering aspects such as categorisation, numerical ability, object permanence, tool use, individual discrimination and recognition, communication with humans and social learning. 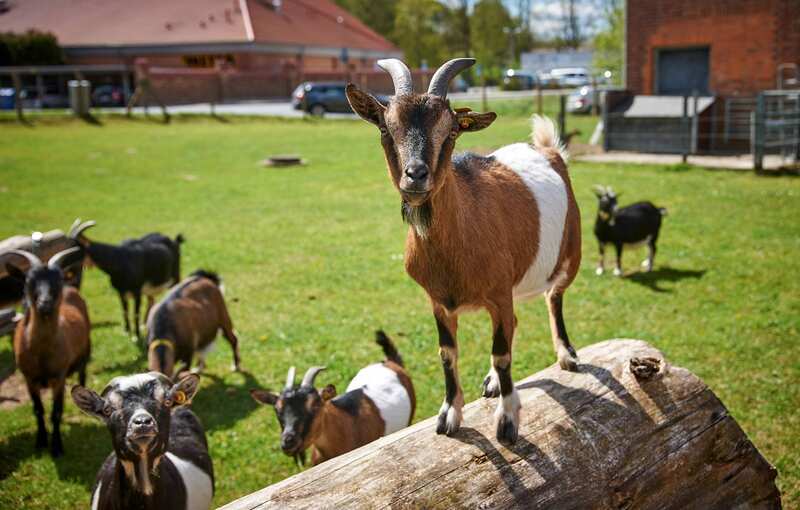 Nawroth C, Langbein J, Coulon M, Gabor V, Oesterwind S, Benz-Schwarzburg J and von Borell E (2019) Farm Animal Cognition—Linking Behavior, Welfare and Ethics. Front. Vet. Sci. 6:24. Meeting high welfare standards during aquaculture diversification is essential for the sustainable growth of the industry, but the culture of novel species poses particular challenges as there is typically limited information to guide best practices. Much has been learned about the welfare requirements of species like salmon, trout or tilapia, but whether this body of knowledge can also be applied to lesser-known species, novel to aquaculture is unclear. Drawing on contributions from researchers, industry and regulators, this one-day symposium will explore the commonalities and differences in the welfare requirements of different farmed species, and will ask whether some basic welfare metrics exist. It will be followed by a workshop on the welfare requirements of lumpfish, one of the fastest growing farmed fish in Europe. Further details and the link to register are available here. a) Which welfare indicators are most meaningful for lumpfish? b) What can the industry do to improve the welfare of lumpfish? c) What does the public/consumers require? 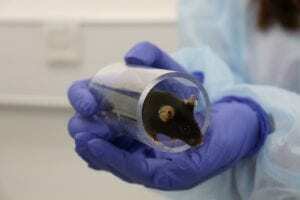 The post-holder will contribute to a BBSRC funded project on “Decompression killing in laboratory rodents: an humane alternative to carbon dioxide?” working with Dorothy McKeegan and collaborators in the Universities of Edinburgh and Newcastle. Specifically, the job requires expert knowledge in physiological and/or neurophysiological research techniques in rodents or other species. The post-holder will also be expected to contribute to the formulation and submission of research publications and research proposals as well as help manage and direct this complex and challenging project, as opportunities allow. Further information can be found on the University of Glasgow webpage using the Job reference 024306. The School of Psychology at Queen’s University Belfast invites applications for a fully funded PhD entitled ‘Understanding the evolutionary mechanisms underlying infant features in cats and their implications for animal welfare’. Infant features are physical traits that are characteristic of human infants and include facial features such as a large forehead, large and low-lying eyes, and a small nose and mouth. Animals possessing high levels of infant features are perceived as ‘cute’ and elicit care-giving responses in humans. The overall aim of this project is to assess the impact of possessing high versus low levels of infant features on cat welfare. The relationship between infant features in cats and cat temperament, health and the strength of the pet-owner bond will be explored. In addition, the role that infant features play the adoptability of shelter cats will be evaluated. Applicants must have at least a 2.1 degree (or equivalent) in Psychology or a related subject such as Zoology or Animal Science. A Masters level qualification in an area such as Evolutionary Psychology or Animal Behaviour and Welfare is desirable. This 3 year PhD is funded by the Northern Ireland Department for the Economy (DfE). See https://www.nidirect.gov.uk/articles/department-economy-studentships for funding details and eligibility criteria. 100% of UK/EU tuition fees paid and annual living expenses of £15,119. Significant additional funding to cover research costs, visits to Newcastle and local, national and international travel (e.g. conferences). September 2019 for a three-year PhD. Newcastle University and the Centre for Macaques (CFM) are looking for a PhD student for an NC3Rs funded project studying the impacts of different weaning ages in laboratory primates (rhesus and cynomologus macaques). You will use a comprehensive range of behavioural and health measures to assess the impact of weaning at different ages on the immediate welfare of macaques at CFM and their likely future welfare in neuroscience laboratories. These will include measures of temperament, general health and immune function. You will be based at CFM near Salisbury in Wiltshire for the duration of the PhD with regular visits to Newcastle for training. You must have at least a 2:1 Honours degree in a relevant field (e.g. psychology, biology, biomedical sciences, veterinary sciences). Previous research experience is required and a masters degree is desirable. Proficiency in oral and written English is mandatory. The candidate should be willing to work with laboratory primates and to be based at Salisbury in Wiltshire. Due to the location of the Centre for Macaques the student will be required to get government security clearance to work on site. You must apply through the University’s online postgraduate application system by creating an account. To do this please select ‘How to Apply’ and choose the ‘Apply now’ button. attach degree transcripts* and certificates and, if English is not your first language, a copy of your English language qualification. *You will not be able to submit your application until you have submitted your degree transcript/s.